We’ll see you in Toronto for ASAE Annual! 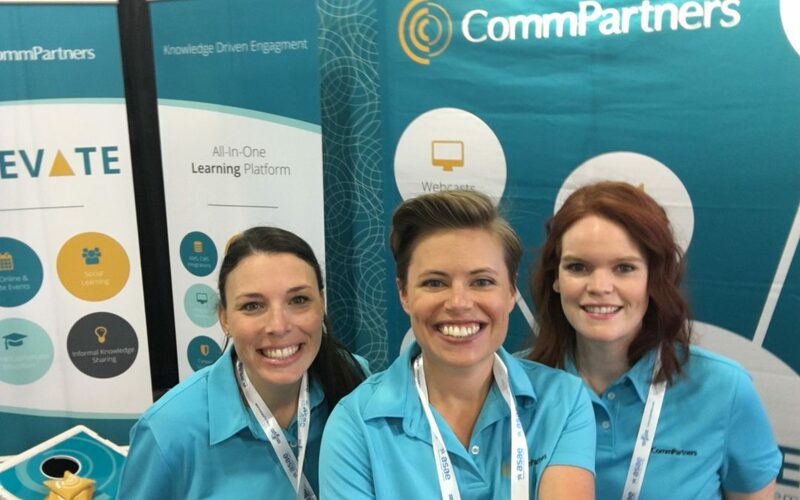 CommPartners is excited to once again be exhibiting at the 2017 ASAE Annual Meeting & Exposition from August 12-15, 2017 in Toronto, Ontario, Canada. This event is the highlight of our year as we are able to connect with thousands of associations, clients, and friends. CommPartners will be showcasing all of the new features of Elevate LMS, as well as our services related to Webinars & Webcasts, Livestream Events, Virtual Conferences, and Content Recordings. Stop by our booth to learn more about how Elevate Learning Management System can help your association create meaningful learning experiences for your members. If that wasn’t enticing enough, we will also have games, prizes, and chocolate! We will be on-site for one-on-one meetings to further explore our services, simply catch-up, or to view a demo. You can arrange a meeting by visiting the Attendee Service Center or contact us directly. Are you ready to team up for drinks and hors d’oeuvres? We are co-hosting an exclusive party with Higher Logic and other leading industry partners on Sunday, August 13th, from 7-9pm, at the Hockey Hall of Fame. This event also gives you access to several exhibits, theatres, an interactive rink, and a replica of the Montreal Canadiens’ dressing room. Your colleagues are welcome, so bring them with you! We look forward to connecting with you in Toronto!